A product review? This one is an inexpensive product review that turns out good. I was recently going through Amazon’s PS4 accessories list and saw a vertical stand selection that wasn’t super great. Most were 3rd party, and looked really flimsy and cheap. 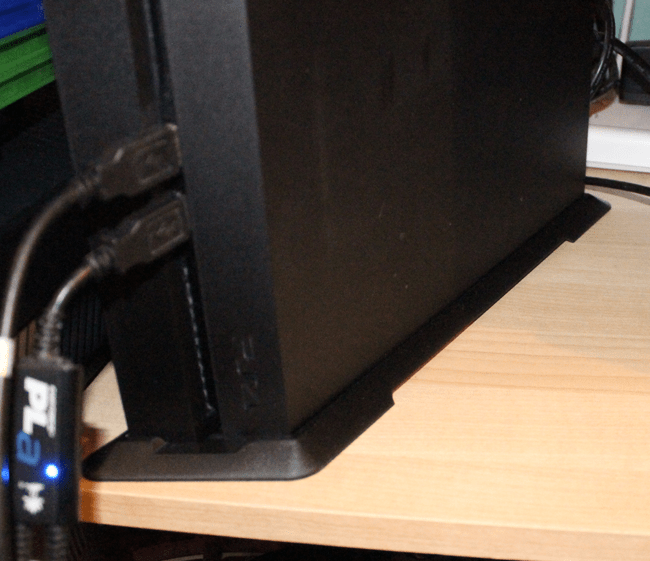 Very few had the two “connector” bumps in them like the Sony Licensed vertical stand which helps secure the console to the base. I decided to take a risk and get one of the inexpensive (read: dirt cheap) ones thinking, “what I have I got to lose?” The answer: nothing at all. This little vertical stand by Goliton is actually fairly rigid and feels solid, unlike many other cheap plastic items these days. It doesn’t have a “snap in” feature to hold the PS4 in place, but it does have 2 rubber grippy pieces on the insides which you need to press against to make the PS4 fit flush within the base. So in that sense, it provides a bit of comfort for me as the rubber grips would in theory prevent it from slipping out if the PS4 should get bumped or moved a bit within the base, rather than a plastic to plastic press fit situation. 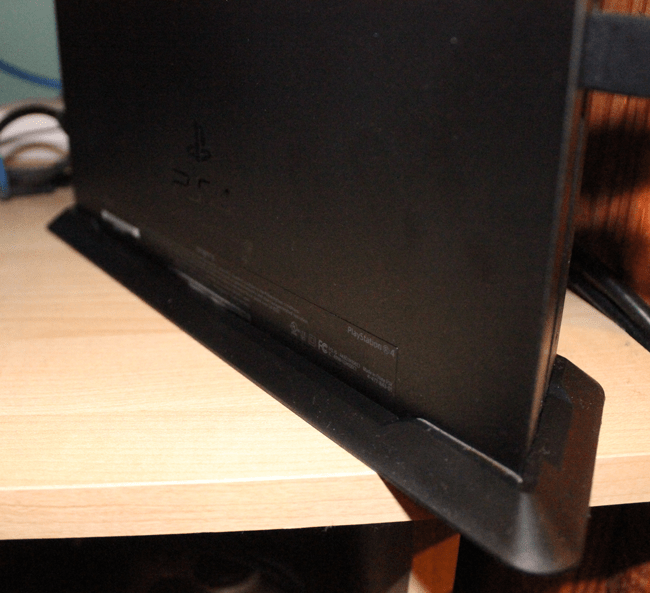 Once the PS4 is seated, the stand will not fall off if you lift the console off a surface, so don’t worry about having to constantly re-seat the base if you happen to move your console around a lot. It’s got some slots cut out of it on the bottom for airflow ventilation (see top image), and since it’s been set up I’ve only heard the PS4 fan kick into high gear a few times during some online-play on Destiny, nothing out of the ordinary. Time will tell if I’ll need to regularly pop off the base to clear out any stuck dust, but I wouldn’t fault it for that since keeping dust out of the console is simply good practice. At $5 I can understand a person’s hesitance to put a $400 console in this stand but If it’s ultimately not going to be subject to any real movement you should be fine. If I find that the airflow to the base of the console is restricted I’ll probably spend the money and get a slightly nicer stand, but for my purposes it’s actually much sturdier than I was expecting. So, yes, I recommend the $5 vertical stand by Goliton. There are nicer, probably more durable stands out there, but at the price for what I received and my needs it’s not bad at all. Adventures of Pip on Its Way To PS4 and Xbox One!